This combination paired a modular type building software called Fontstruct with modeling clay. I learned about Fontstruct a few weeks ago and immediately began experimenting with new letterforms. 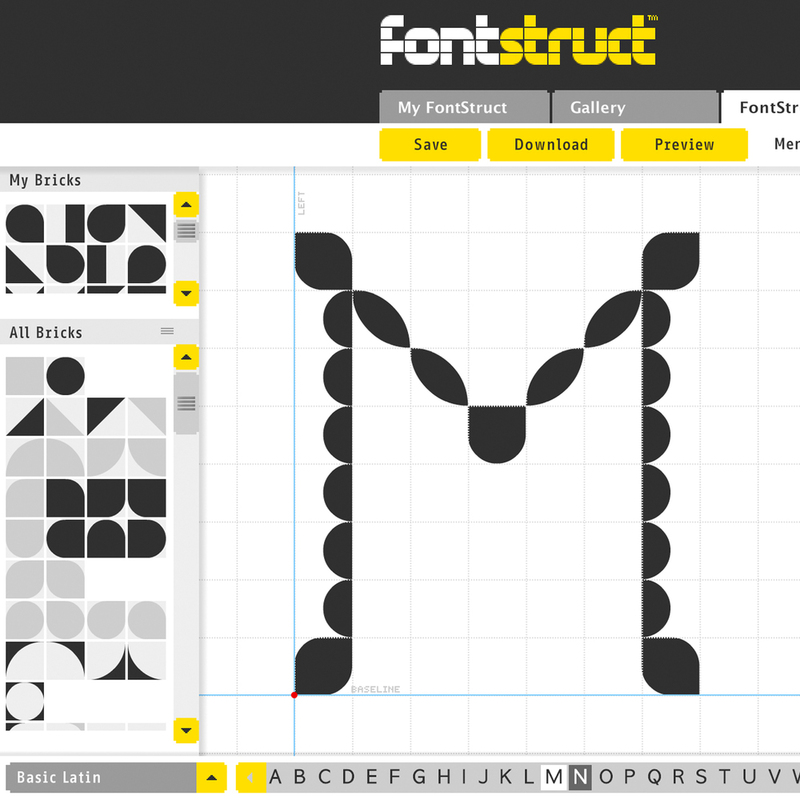 Fontstruct is a (free!) 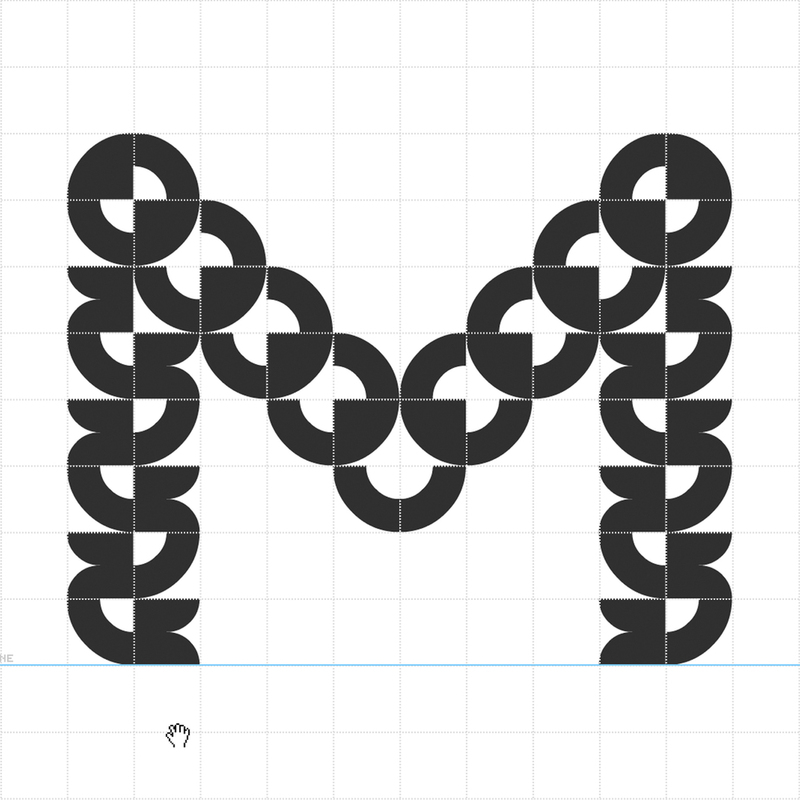 online application that allows users to build letterforms - or even a whole typeface - using modular geometric shapes that snap to a grid. Using a library of shapes - triangles, squares, circles, half circles, and so forth - you can create unique letterforms and download them as a .ttf font file. I could lose myself in this program, I had so much fun experimenting. 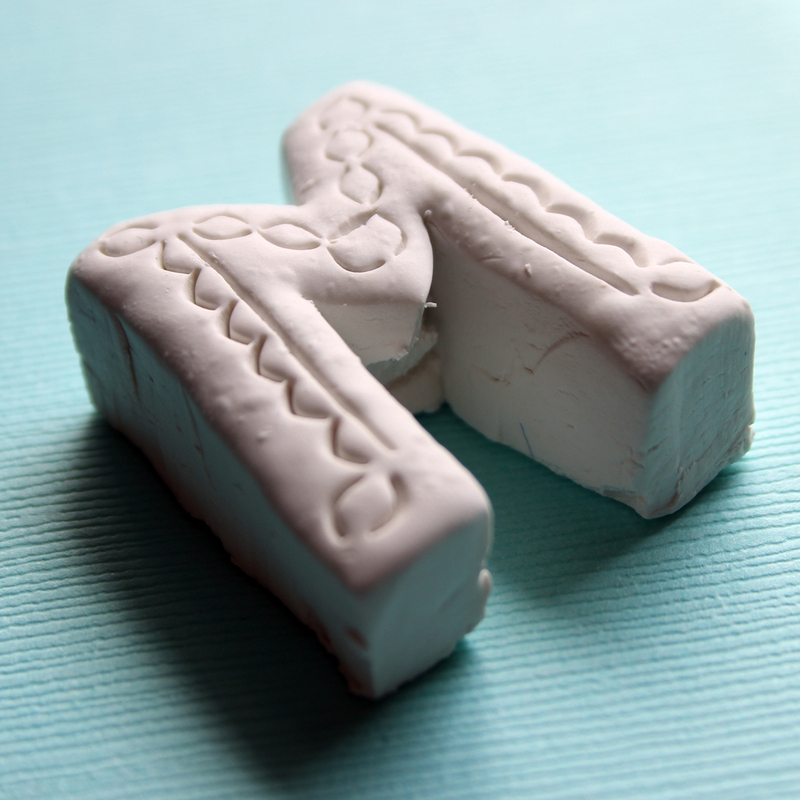 I created several letter Ms, chose my favorite, and decided that to combine it with carving or shaping, I'd make it out of modeling clay and bake it. 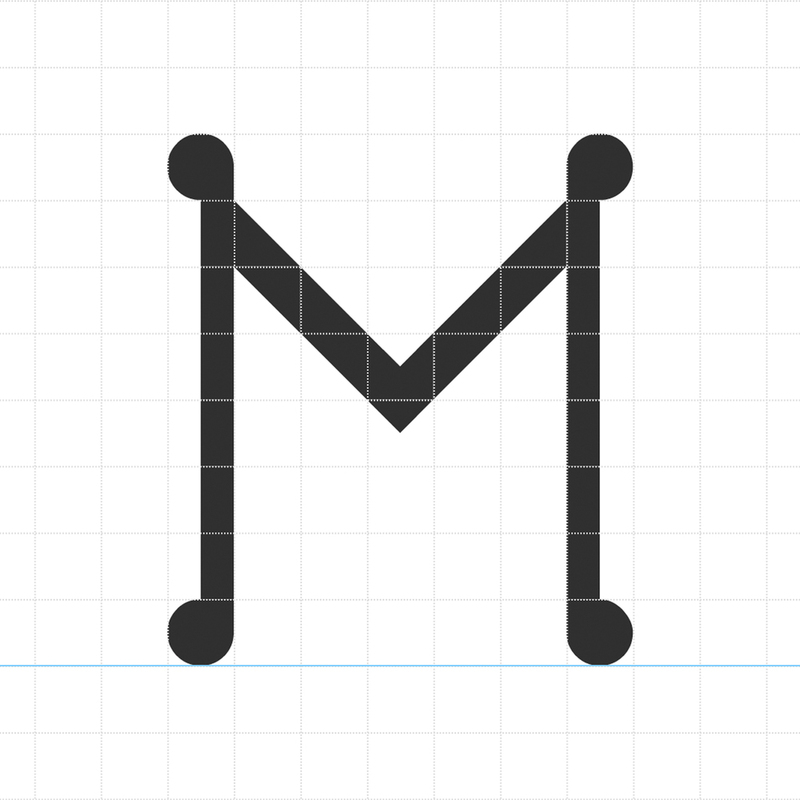 First, I tried using curved and straight carving tools to carve the outline of the letter into clay, then cut out a block M around it - thereby turning my Fontstruct creation into the decoration inside a chunky sans serif. This looked okay, but since I was shaping it by hand, the block M looked pretty wonky and uneven. I wanted something that resembled the Fontstruct geometric letter more, but had a distinct handmade feel. So instead I built with clay the same way I built in Fontstruct - one geometric shape at a time. I carefully made semi circles, diamonds, and "eye" shapes, then pressed them together before baking. The result is a delicate, modular letter that was designed digitally and executed by hand. You can even see my fingerprints in some places. The shapes are not as crisp as they were in the software, since modeling clay is so soft. If I tried this again with earthen clay, or even porcelain - I might be able to carve more distinct shapes that would look more like the Fontstruct letter brought to life. For now, though - the translation of the modular digital into a modular handmade process is the most significant aspect of this study.